Credit should be given where credit is due. 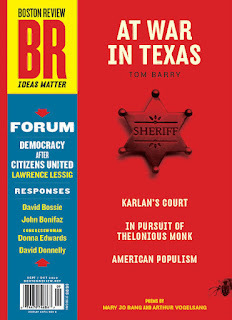 “At War in Texas,” the cover story of the September/October issue of the Boston Review, was the first publication to cover the outsourcing of border security in Texas. That investigative report is now part of Border Wars, a book by Tom Barry that was published by MIT Press and Boston Review Books in September 2011. The outsourcing of Operation Border Star and just about everything else Governor Rick Perry and Steve McCraw, director of the Texas Department of Public Safety, has done to “secure the border” in Texas was outsourced to Abrams Learning & Information Systems (ALIS), a Washington Beltway consulting firm, starting in 2006. Since 2006 the Texas DPS has contracted with an Arlington, Virginia homeland security contractor to establish and operate its border intelligence operations. Abrams Learning and Information Systems (ALIS), founded by retired general John Abrams, has received $14.9 million in the past five years from DPS, which it contracts for “Texas Border Security Operations.” In 2009 with the influx of ARRA funds into DPS, ALIS received its largest annual contract award ($4.7 million). During a three-week “border surge operation” in mid-2006, ALIS Vice-President Leo Rios, told reporters, without any supporting documentation, that the surge demonstrated that “we're capable of shutting down all transports of illegal drugs and criminals in this area to zero for up to seven days.” Rios touted the company’s role in Texas border security operations at a homeland security technology conference in Washington last October, and crediting ALIS’ innovative TxMap crime-mapping system with a 65% drop in “border-related crime” – a figure also used by Perry to tout the impact of Border Star’s surges and which earned him a “Pants on Fire” award by the Austin Statesman. 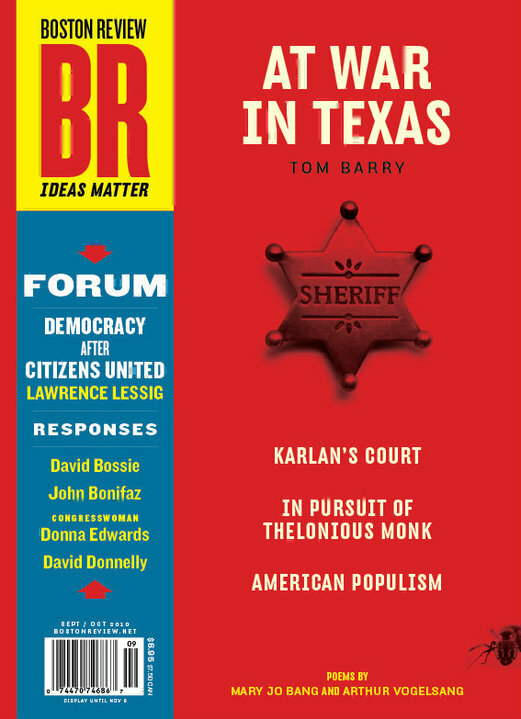 The investigative article goes on to reveal the political character of Operation Border Star and the dubious value of the array of associated DPS and Texas Ranger border security initiatives managed by the private contractor. The outsourcing scandal is finally receiving the attention it deserves in Texas – by the state auditor, a few elected state representatives, the public, and the media. Yesterday the Austin Statesman was the first Texas media outlet to cover the story. Investigative reporter Jeremy Schwartz had interviewed Barry at length on two occasions over the past several months but failed to mention the earlier investigative reports on this scandal. The Border Lines Blog has covered the border security outsourcing scandal extensively over the past two years.